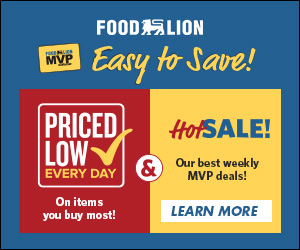 All this season, the Carolina Cowboys 8 and under football team has relied on a swarming defense that forced turnovers, created great field position for its offense, and generally crushed the will of nearly every opponent it faced. For the most part, the Cowboys continued that stout defensive play against the NC Giants on December 2 in the AAU North Carolina state championship game, but one untimely breakdown on the game’s opening drive proved to be the difference. Facing third down and nine, Giants quarterback Daiquan Bowman Jr. rolled out on a bootleg, juked past two defenders and then raced untouched down the left sideline for a 30-yard touchdown. That would be the only time either team would reach the end zone all afternoon as the Giants eventually held on to defeat the Cowboys 6-0 at A.J. Simeon Stadium in High Point. The win capped a remarkable season for the Charlotte-based Giants, who finished with a perfect 13-0 record to earn a state title in their first year of competing at the AAU level. 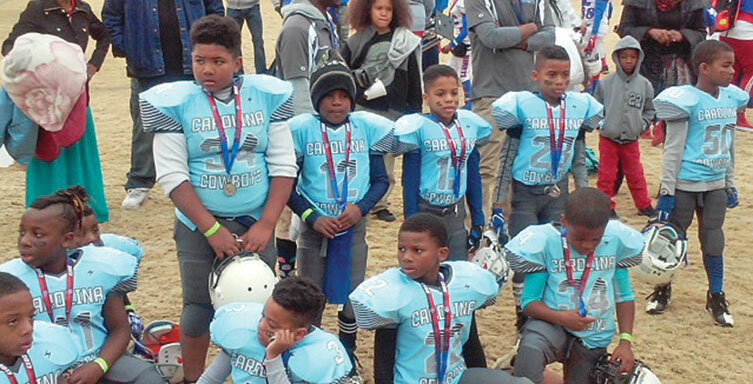 The Cowboys, who are based in Greensboro and hold their practices at Gillespie Park Elementary school, saw their dream season end with a record of 9-2. Afterwards, Cowboys head coach Craig Rawlerson said that despite the pain of coming up short he was proud of the growth his team showed this year in order to reach the state championship game. After the Giants’ long touchdown, the Cowboys looked to respond immediately by utilizing a familiar offensive formula: softening the middle of the defense with some tough inside running by fullback Naz’ion Fewell and then letting speedster Michael “Man-Man” Boone attack the perimeter on misdirection plays. That one-two punch helped the Cowboys embark on 13-play, five minute drive, but after Boone’s 27-yard run moved the ball to the Giants’ 18 yard line, four consecutive negative rushing plays led to a turnover on downs. Both teams began to clamp down defensively at that point, resulting in a series of stalled drives and not many offensive fireworks. Neither team would enter their opponents’ red zone the rest of the way. After halftime, the Cowboys began the third quarter on their own 35 yard line but were flagged for two straight penalties on their opening drive and eventually had to punt. The Giants, taking over at their own 40 yard line, began to slow down the tempo and put together a 13 play drive that only netted nine yards due to penalties, but kept the ball away from the Cowboys for the remainder of the quarter. When the Cowboys were finally able to force a Giants punt with a little over six minutes left in fourth, it appeared enough time remained for one last drive – which would potentially be the game winner. However after starting at their own 31 yard line and picking up a quick first down, the Cowboys’ drive came to an abrupt halt when they were flagged for a holding penalty and quarterback Muhammad Lowe was sacked three straight times. Overall, the Cowboys only had four offensive possessions in the game for a total of 33 plays. Boone led the Cowboys with 49 rushing yards on nine carries.